This is a joint release between the Australian Federal Police and Australian Border Force. A 36-year-old United States national has been charged with importing cocaine after he ran from an examination area and was pursued by Australian Border Force (ABF) and Australian Federal Police (AFP) officers through Perth Airport on Tuesday, 4 September 2018. 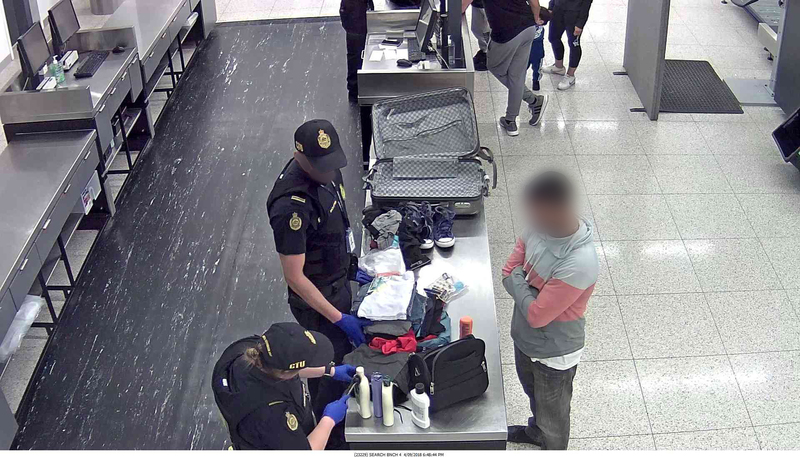 The man was subjected to a full baggage examination after his arrival from Brazil, via Dubai, during which five plastic bottles containing liquid marked as shampoo, conditioner, moisturiser, mouthwash, and sunscreen were located. It will be alleged that soon after a positive presumptive test result for cocaine was returned the man fled the ABF examination area and ran through the airport arrivals hall. Pursuing ABF and AFP officers located the man hiding in bushes near the taxi rank after members of the public pointed out where he had run. The man was arrested and later charged with importing a commercial quantity of a border controlled drug, namely cocaine, contrary to section 307.1 of the Criminal Code Act 1995 (Cth). It will be alleged the bottles contained three kilograms of liquid; the exact weight of the cocaine is yet to be determined. He appeared in the Perth Magistrates Court yesterday (5 September 2018) and was remanded in custody to reappear on 12 October 2018. ABF Regional Commander for WA, Rod O’Donnell, said the detection was yet another example of the exceptional skills of ABF officers in stopping illicit drugs coming through Perth Airport. “Our officers are highly trained and use a range of assessment techniques to identify travellers of interest and then utilise cutting edge x-ray and detection technology to identify prohibited items crossing the border. AFP State Manager Western Australia Greg Harrigan said that law enforcement continues to see criminals attempting to import illicit drugs into Australia. “This should serve as a warning to criminals who think they can conceal illicit drugs and avoid detection. You will be caught and you will face the potential of life in prison,” Commander Harrigan said.